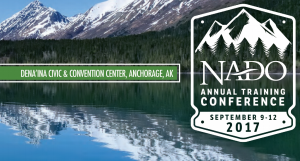 On Saturday, September 9th, BlastPoint’s Sales & Marketing Director, Jeremy Shafton, spoke at the NADO Annual Training Conference. Alongside four other speakers, Jeremy participated in an interactive “Learning Lab” called “Harnessing the Power of Data to Improve Your Community Economic Development Strategy”. Carol Rogers from the Indiana Business Research Center shared a wealth of information about the latest updates at StatsAmerica. After Carol’s presentation, Jeremy shared some techniques for working with data and walked participants through a scenario using BlastPoint. Finally, three speakers from Utah (Marion Bentley, Russell Cowley, and Jody Gale) shared their experience developing and deploying the Area Sector Analysis Process for the Six County Region in Utah. BlastPoint works with many Economic Development Organizations, enabling them to easily tell a data story which can attract and retain business, as well as determine where to make strategic investments. Contact us today to see how BlastPoint can help your organization unleash the power of data!